Looking for Pest Control? Wahroonga is located in the Upper North Shore of Sydney and is our local neighbouring suburb. It has been our service area for over 35 years. We have been successfully treating Bed Bugs, Bee Removal, Termites, Spiders, Cockroaches and Ants, all with low toxic treatments. Wahroonga is located 22 kms northwest of the Sydney Central Business District, in the LGA of Ku-ring-gai Council & Hornsby Shire. This area’s name stems from an Aboriginal word meaning “our home”. In the early days of British settlement in New South Wales, the main activity was cutting down the tall trees which grew there. It was first settled in 1822 by Thomas Hyndes, a convict who became a wealthy landowner. Later there were many orchards, and when the railway was built it became a popular place for businessmen to build out-of-town residences with large gardens in the 1920s and 1930s. 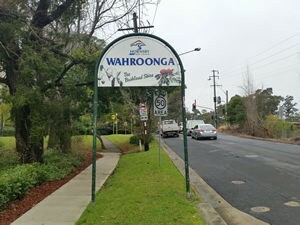 A common misspelling of this leafy suburb is “Wahroongah” and has neighbouring suburbs of Hornsby, North Turramurra and Thornleigh.